VirtueMart is a popular plugin for Joomla that helps you quickly launch your online store. Due to its easy use it gained popularity among the beginners in online entrepreneurship. Internet-shops’ essential feature is a large number of images. This is where the webmasters and administrators can face difficulties. On the one hand, customers want to see more pictures before purchasing. On the other hand, a large amount of images can significantly slow down the website. The solution is to optimize the website images in VirtueMart. However, the plugin itself only helps to set up an online store and has no tools for optimization. So it is necessary to download an OptiPic plugin to optimize the images in VirtueMart. Image optimization in VirtueMart is performed in the background. This means that users will be able to continue working with the site. The only thing they will notice is the acceleration of page loading. An OptiPic plugin for image compression in VirtueMart analyzes and removes the redundant information from the image code. Image files contain the data about the kind of the camera used for shooting, about the place, date and shooting conditions or editing information. Obviously,users are not interested in that kind of technical data which nonetheless occupy a certain space. Compressing images in VirtueMart with the help of OptiPic allows removing unnecessary information and reducing the image size keeping the quality. The website image compression in VirtueMart requires only uploading the plugin to the server and performing an initial configuration. Then all the images will be optimized including those that are being downloaded to the website. How can optimizing images for VirtueMart speed up a site? 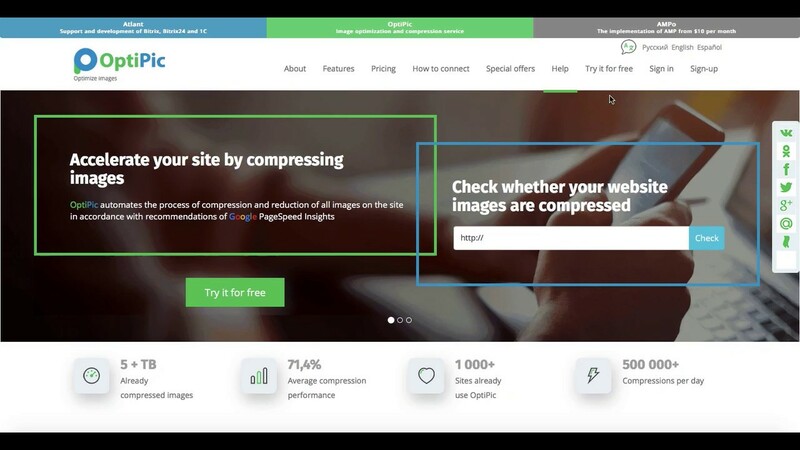 How to get started with OptiPic service for VirtueMart for image compression?